Remember Jeudy Jean Horel, the 76-year-old Haitian man who went back to school to finish high school in Haiti? He just took his State exams in 9ème année fondamentale and he passed with flying colors. 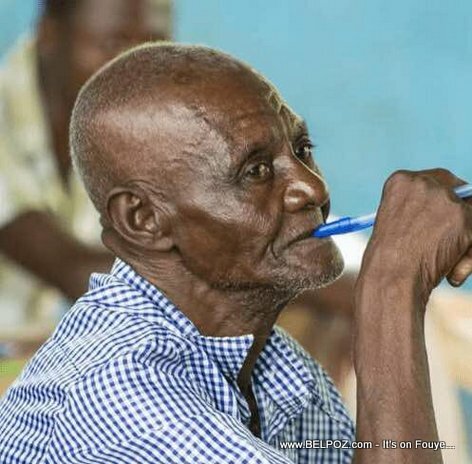 Old man Jeudy has become an inspiration for many Haitians who think it is too late to go back to school. Haiti education minister Pierre Josué Agénor Cadet paid tribute to the old man, Jeudy Jean Orel, for his commitment and determination for education.